The LMU EC has been enriching the Munich startup scene for over 15 years. Some of the successful companies that originated in the LMU startup factory include Flixbus, Finanzchef24 and tado. 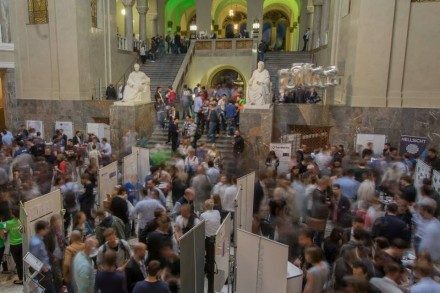 With events such as the Leading Entrepreneurs or Cashwalk, the LMU EC regularly draws hundreds of startup aficionados into the sacred halls of the Ludwig-Maximilian University in Munich. 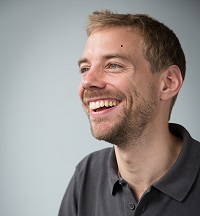 Florian Rickert wants to “motivate people to launch startups”. A broad network is also offered — be it within the university infrastructure with good contacts to the LMU Spin-off Service or other cooperative partners. Natalie Kho and Florian Rickert are the people for startups to contact at the LMU EC, and took time for an interview with Munich Startup. The LMU Entrepreneurship Center (LMU EC) of the Ludwig-Maximilian University in Munich aims to motivate students and graduates to found their own startups and supports them in implementing their startup ideas. “Personal contact is important to us”, said Natalie Kho from LMU EC. We have three large areas: community, lab and teaching. The lab is particularly interesting for startups. We support 15 teams every semester. The young entrepreneurs are given offices, coaching and access to our network free of charge. We have already supported over 165 startups. 40% of them received follow-up financing. It is possible to apply for the LMU Lab until the 30th of June at www.lmulab.de (only in German). Personal contact with startups is of particular importance to us. It lets us know exactly what each startup is struggling with at that point, so we can then help them as best as possible. … set defined goals and always keep them in focus. 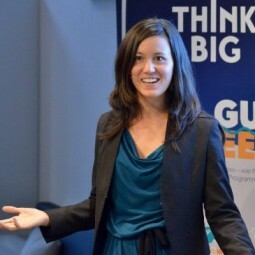 Why would a good startup even need the LMU Entrepreneurship Center to back them? A startup does not necessarily need a startup center to be successful. However, it makes it much easier when you have a contact person by your side with extensive experience. A startup center also is a good opportunity for developing a broad network. The biggest mistake a startup can make is giving up too quickly. Founders should instead stick with it, even when it is not going so well sometimes! …cooperation between startups and established players. The Munich startup scene is growing and growing. Hardly a month goes by without a new accelerator being set up. There is especially a lot going on in Munich in the tech and B2B areas. What would you like to add about the Munich startup scene? Let’s cooperate, communicate and help each other even more! Collaborating makes you even stronger! The best way is for startups to contact us at team@lmulab.de or to contact Natalie Kho or Florian Rickert directly.